Are you losing your hair? Men and women alike can suffer from thinning hair and hair loss, and with it often comes a loss of self-confidence and happiness. Luckily, there are treatments available to restore your hair. One of those treatments is a surgical hair transplant. A hair transplant can make hair thicker, correct a receding hairline, or give you back a full head of hair from your youth. Here is some more about the surgical process of a hair transplant. 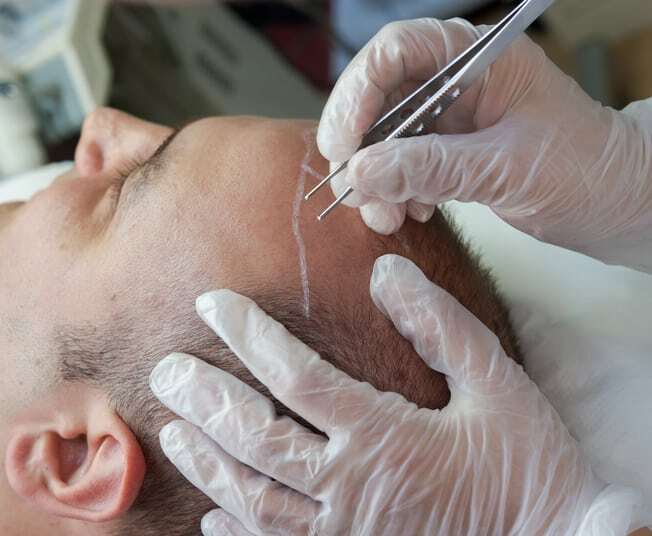 Hair transplant surgery involves the removal of hair follicles from the part of your scalp that is still growing hair (donor area), and cutting it into smaller pieces to use as grafts. These grafts are used to redistribute the follicles into the part of your scalp where the hair is balding or thinning. There are two different ways of harvesting hair follicles for a hair transplant – the Follicular Unit Transplants (FUT) and Strip Harvesting. The method you and your doctor decide on will depend upon how much hair loss you’ve experienced, your ethnicity and hair type, and how you typically like to wear your hair. Follicular Unit Transplants (FUT)/Strip Harvesting. FUT/strip harvesting involves removing and transplanting an entire strip of hair from your scalp. At your consultation and again on the morning of your hair transplant surgery, your doctor will discuss/review your surgical plan. He will go over the procedure you’ve chosen, and how he will transplant the follicles. In more extreme cases in which the hairline has to be changed, your doctor will also discuss the shape and placement of the hairline you desire. For an FUT procedure, the donor strip is measured and trimmed. You are then given oral sedation to calm you and lidocaine scalp injections to numb your scalp. Your doctor will then excise the strip and close the wound with sutures. The scar from that wound will be small and covered by your hair. The surgical team will then separate each hair in the donor strip into grafts by using microscopic dissection. While the grafts are being trimmed, your doctor will create the grafting sites on your scalp by making tiny incisions using angles that follow the natural contour of your hair. Next, the doctor will insert the grafts into these tiny openings. Hair transplant surgery typically lasts between six and eight hours. The exact length of the transplant will depend upon the number of follicles being transplanted. Because the surgery can be lengthy, your doctor will have you stretch and walk around occasionally. While your grafts are being prepared, you can relax, read a book, watch TV, or take a nap. One day after your procedure, you will be able to shampoo your hair. You may experience slight swelling a few days after, which is normal and no cause for alarm. FUE involves removing and transplanting individual hair follicles from your scalp. For this procedure, your doctor will prepare your donor area by trimming the hair there very short. Your scalp will then be numbed using local anesthetic. The grafts from your donor area are isolated and extracted using a special power punch device called a WAW. This device creates a tiny circular incision to remove each graft. Once your grafts are harvested, the procedure is similar to the FUT transplant described above. In the week following your transplant, tiny crusts will form in both the donor and recipient areas of your scalp, which usually shed by the end of the week. The small hairs in your newly transplanted grafts will start shedding in about two to four weeks. The newly transplanted follicle stops growing hair and instead focuses on reconnecting to your scalp circulation. This phase usually lasts about two to four months until your new hair begins to sprout. Your new hair will continue to grow for about 9-12 months after your transplant. Are you of feeling self-conscious because of your hair loss? 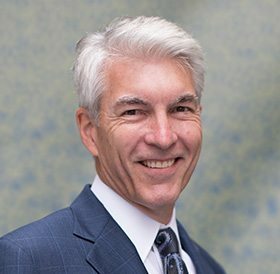 The doctors and staff at Northwest Hair Restoration are here to answer all of your questions about hair transplants and other hair restoration options. If you are ready to regain your confidence and restore your beautiful head of hair, schedule a free consultation by calling our office at (253) 572-2949.